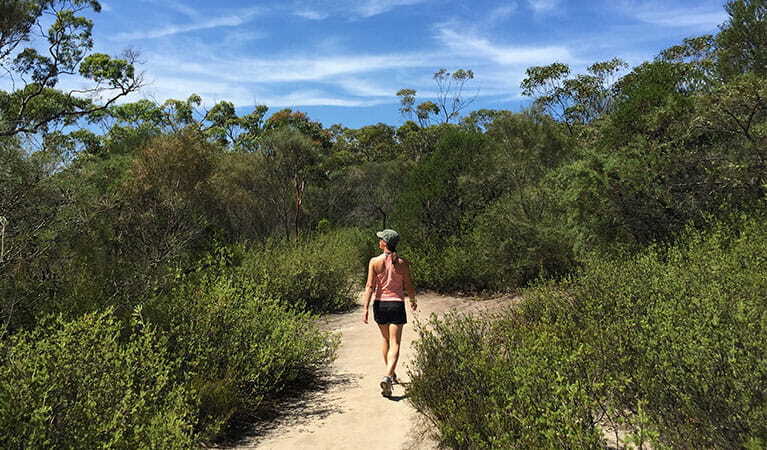 For a moderate walk through Royal National Park, the delightful Karloo walking track offers swimming, picnicking and scenic waterfall views, south of Sydney. 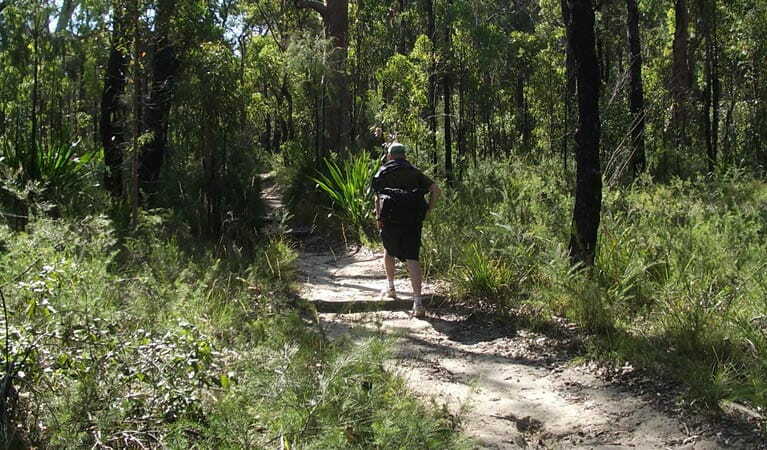 Check the weather before you set out as Karloo walking track can become boggy when it rains. 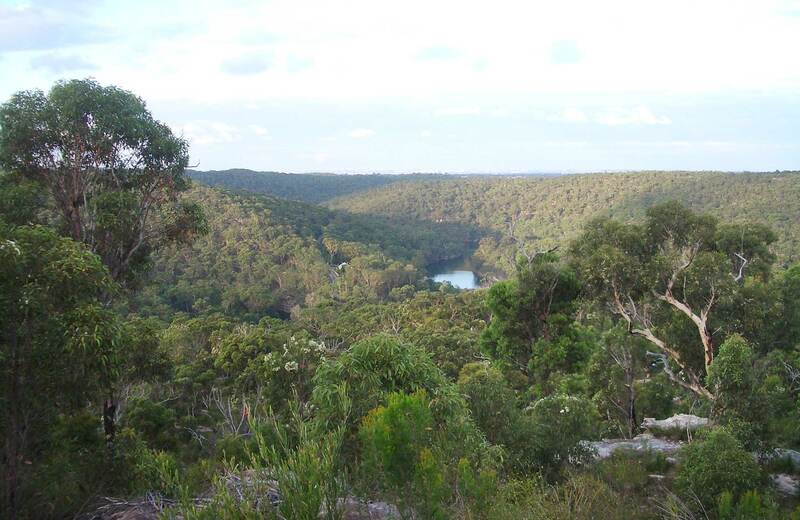 For a quick nature fix only a short drive or train ride from Sydney, try Karloo walking track. This medium walk leads from Heathcote train station to the scenic Uloola Falls in the north-west section of Royal National Park. 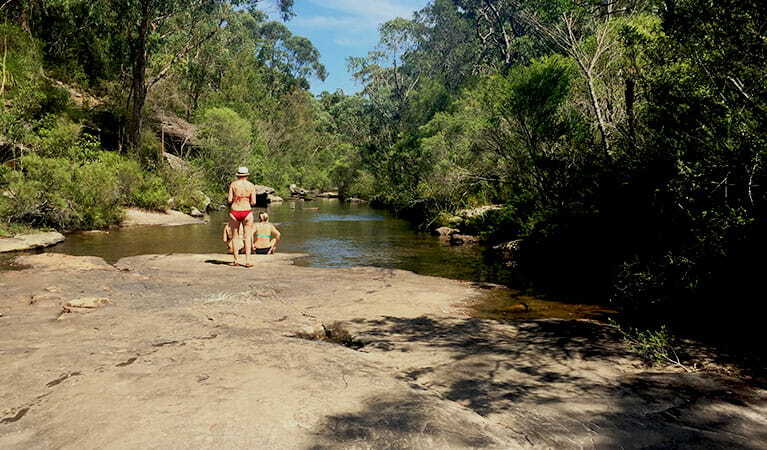 This moderately challenging track leads through heathland, passing beautiful Karloo Pool, a popular swimming and picnic spot. You might be tempted to stop for a refreshing dip before continuing. Be sure to look for the 'whaleback' rock outcrops, named after their resemblance to whales surfacing for air. The fascinating rock outcrops of Uloola Turrets are also worth exploring. At Uloola Falls, enjoy a relaxing lunch beside the delightful waterfall. 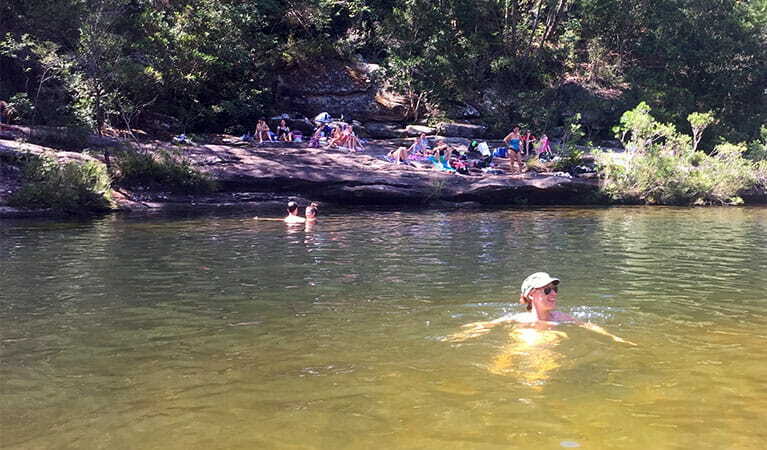 Nearby Uloola Falls campground is a popular spot; however if you want to make a weekend of it you'll need to book online in advance. Return the way you came or take Uloola walking track to Waterfall Station. 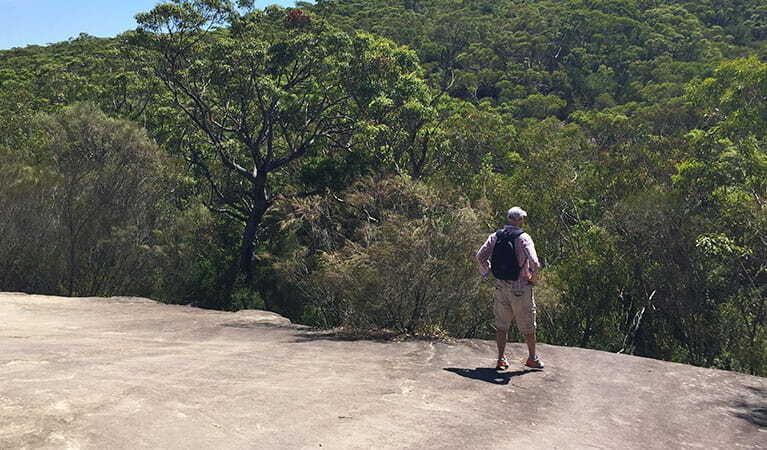 Take a virtual tour of Karloo walking track captured with Google Street View Trekker.